Listen to this scoop: Posh Mommy's loop pendant necklace makes a pretty push present or gift for any of the moms or grandmoms in your life! 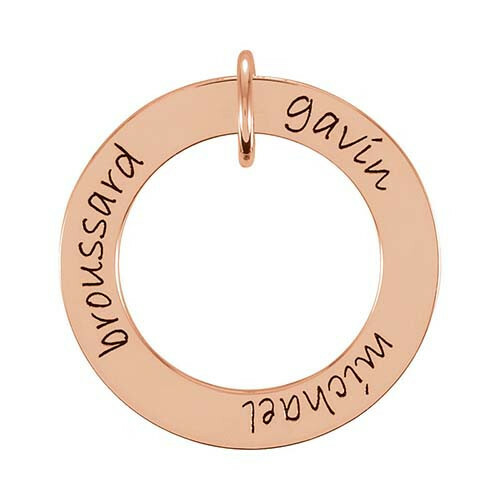 Crafted in 14kt rose gold, an engravable open circle is just waiting for up to three names to make it personal. The piece is a wee piece in honor of the wee ones, measuring one-inch in circumference. Simple and stylish, the necklace that hangs from an 18" chain will stand the test of time, and serve as a testament of your love for years to come.